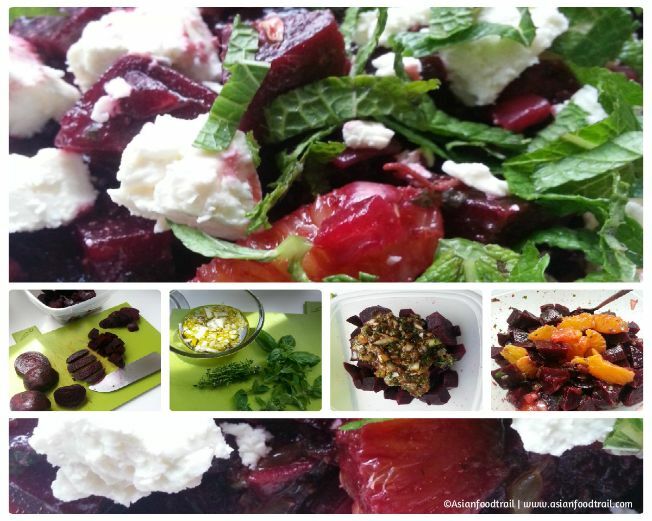 Red Beet Salad recipe with orange, feta cheese and mint, what’s not to love. To begin with, the taste and texture followed by health benefits and support of detoxification. The idea of eating and cleansing suits me fine with these five reasons. Colour attraction, deep burgundy red (all natural beetroot juice is a red food and beverages colouring). 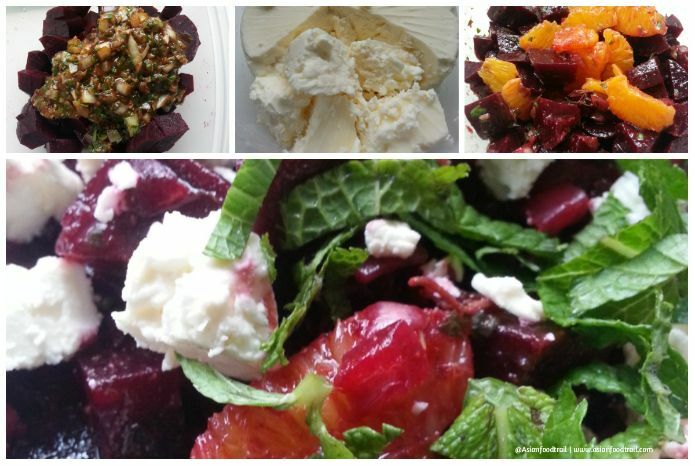 And that sums it up why I keep buying this power food with this recipe I finally had the whole family fully agreeing not to overlook this green but to make this Red Beet Salad with orange, feta cheese and mint recipe more often. The Beetroot has achieved superfood status, according to scientist claimed beetroot juice is capable of boosting athletic performance. Read more: “Boom time for beetroot” DailyMail online article. For the balsamic mustard dressing with fresh herbs, I choose to add a Dutch touch with “Groninger mosterd, grof & pittig” whole seed, grainy mustard for a different flavour and sharpness complementing the beets. 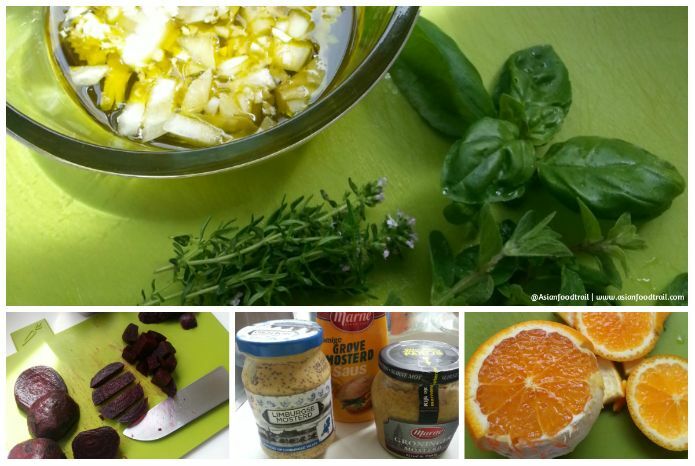 I used to whisk everything together but it is much easier to put all dressing ingredients in a jar and give it a good shake, the dressing will thicken nicely blending everything together. Pour the dressing over the beets first and mix before tossing in the orange segments, as you can see on the photo image the beet juice bleeds very quickly coating everything in red. What you can’t see, smell or taste, unfortunately, is the ‘cheese’, at the local Turkish supermarket shop I bought their artisan-made sheep cheese for the first time and it was so much better than the standard supermarket packed versions. 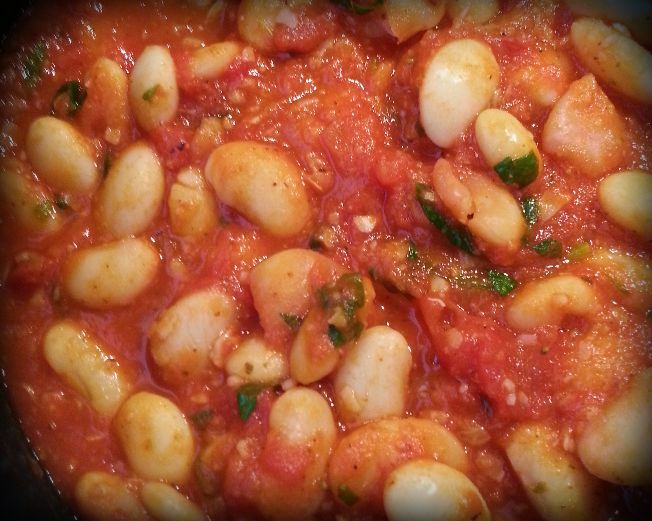 Pulses have found their way regularly in our weekly dinners and compared to our childhood boring brown and white beans, cooking with spices and herbs sure brightens our palate and lifts up the taste for more. 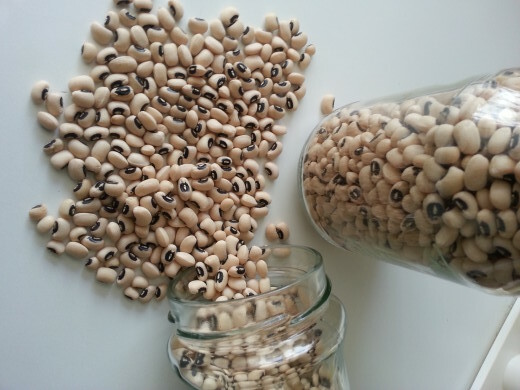 Recycling in the house by reusing various glass jars filled with all kinds of dried beans in plain sight, in stead of storing in the cupboard makes it invisible and forgotten easily. 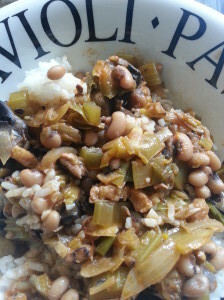 Now I am in the habit of quickly grabbing a bean variety and letting it soak overnight to a maximum of two days if cooking plans changes or I prepare them and store them in the fridge or freezer. 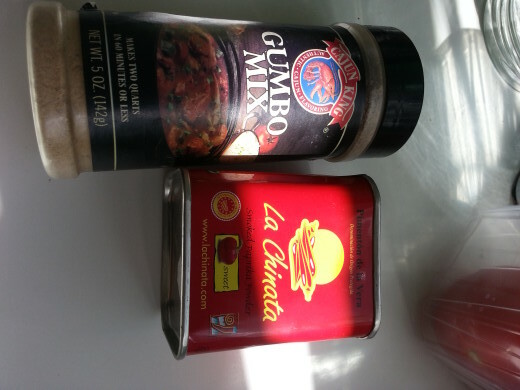 For example making re-fried beans recipe for breakfast burrito’s, dip, salads or as a side dish. I’ve just re-stocked buying soybeans, chickpeas, kidney beans, black-eyed beans and while at it, brought home a bag of butter beans as new addition. 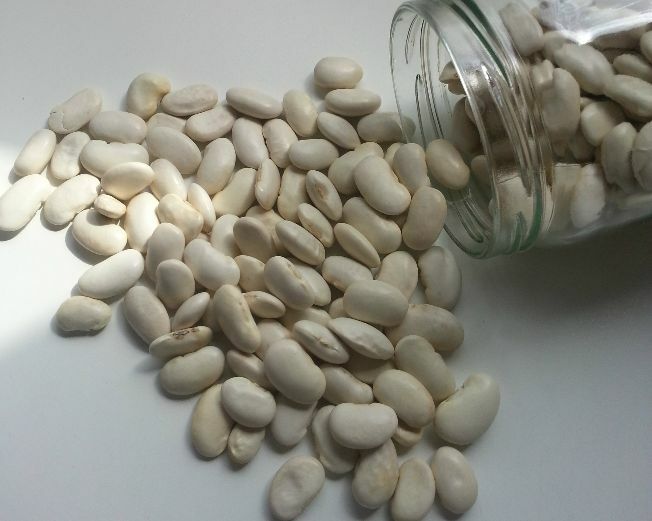 Haven’t prepared these creamy whites in a long time, the butter bean is a well-rounded source of nutrition, rich in protein, fiber, iron and B vitamins. Hardly any fat and all these nutrients combined will provide you with everything you need to lose weight, build muscle and feel energetic. 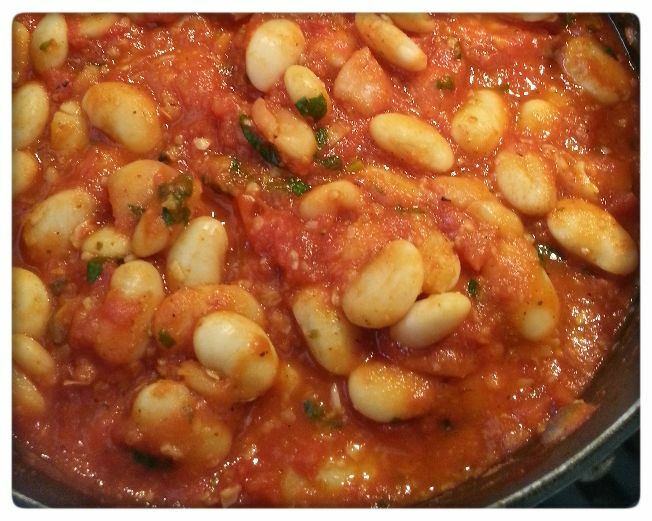 For dried beans how-to cooking instructions click on the link for instructions. 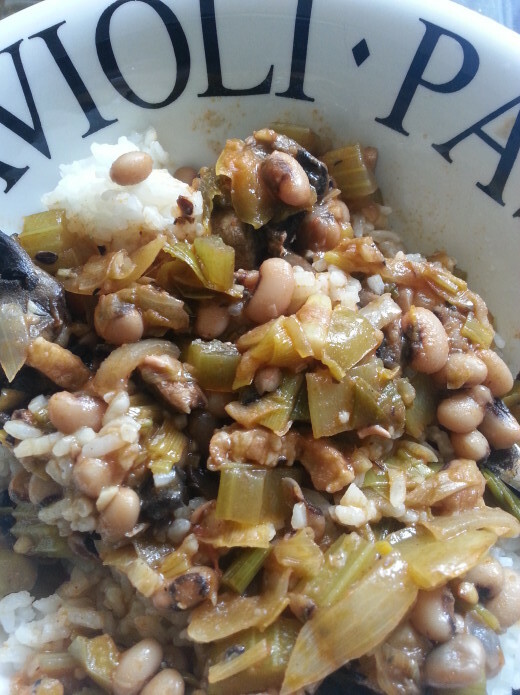 With the Italian style recipe here you can easily vary by using Chinese cooking wine, Chinese (or Thai) soybean sauce, Chinese mushroom soy sauce, fresh or dried peppers or other oriental spices as garam masala the variations are endless. Garnish with coriander, spring onion instead for an Asian finish.